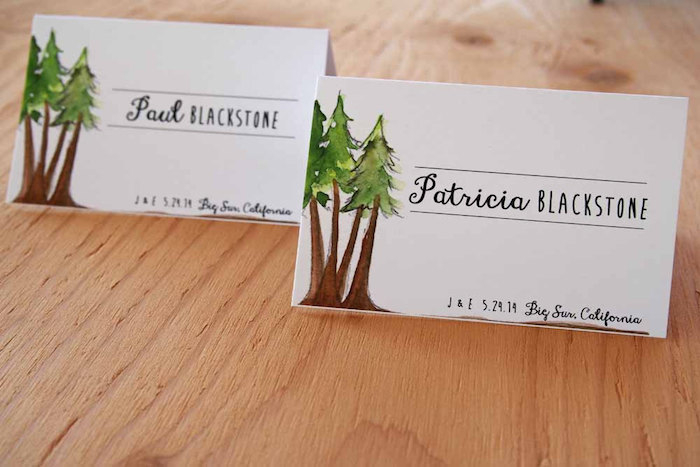 Put those hours of seating chart planning to good use with some wedding place cards that will stand out. After all, place cards are one of the first things your guests will see when they arrive at their tables. Not only do they show guests where to sit, place cards add a personal touch to your decor. 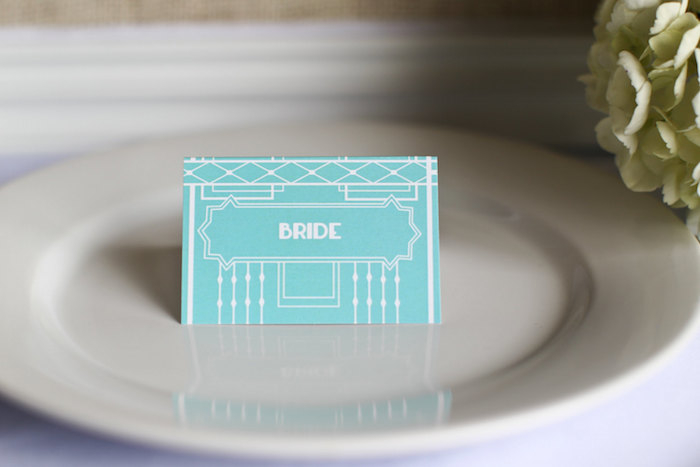 We’ve found 12 perfect place card picks from Etsy. Place cards with golf leaf and silver foil will dazzle your guests – like this glitter place card by ModParty. 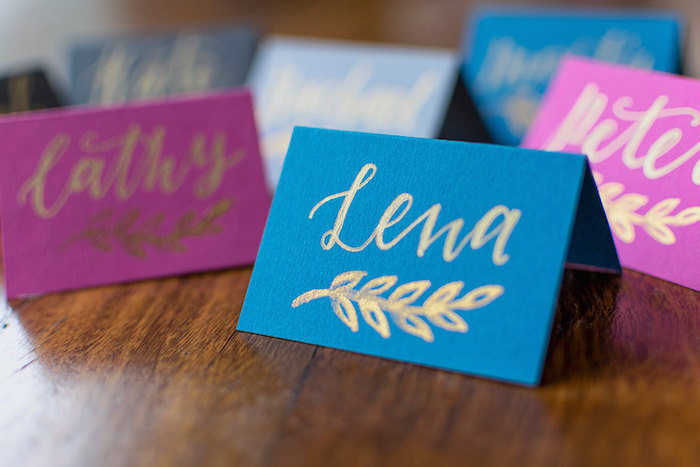 Instead of printing place cards, write everyone’s name or have someone with fabulous writing skills do it for you, like this gold handwritten place card by MonthofJuneDesign. As well as the place card itself, you might need a place card holder too. 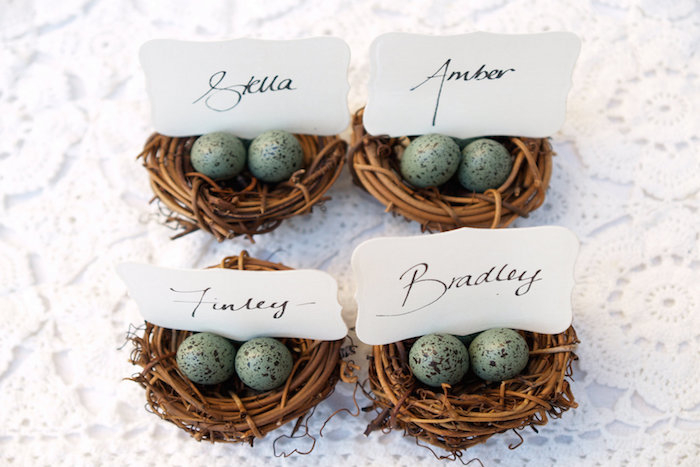 Guests will love these nest place cards by Fairyfolk for a garden or outdoor wedding. 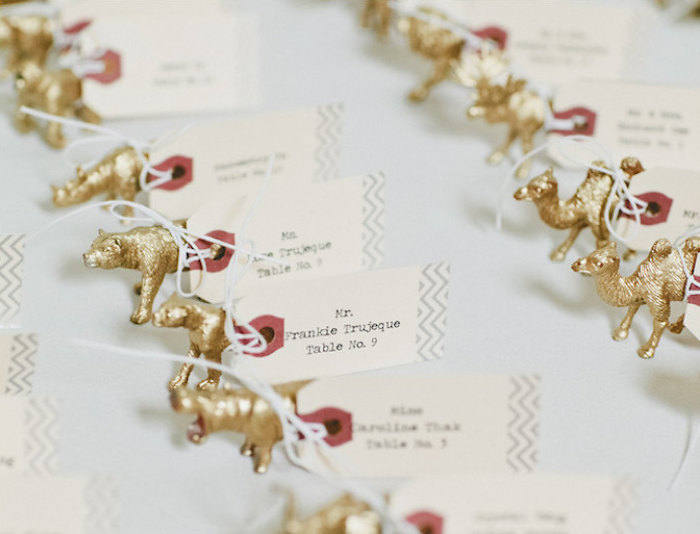 These gold animal place cards by SugarAndChicShop are a playful place card choice that your guests will love to take home as a keepsake. 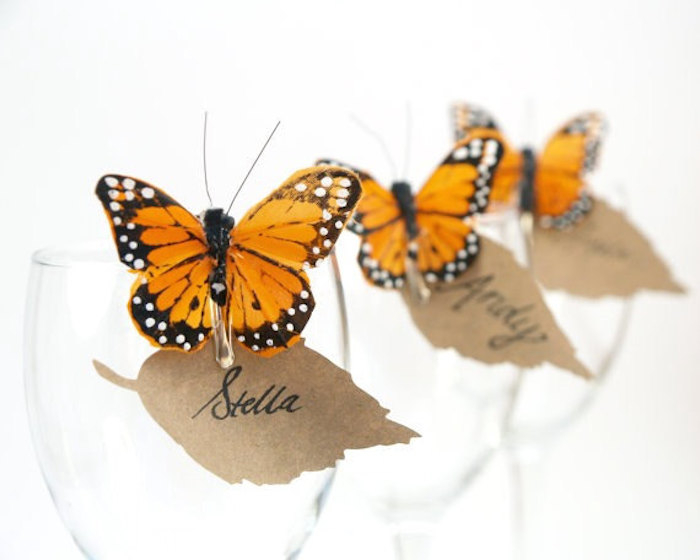 Instead of placing the place cards on the table, attach them to the plates or wine glasses, like these butterfly place cards by FairyfolkWeddings. Something handmade or hand painted like these watercolor place cards by TyingtheKnot are a piece of art. A place card doesn’t have to be huge. 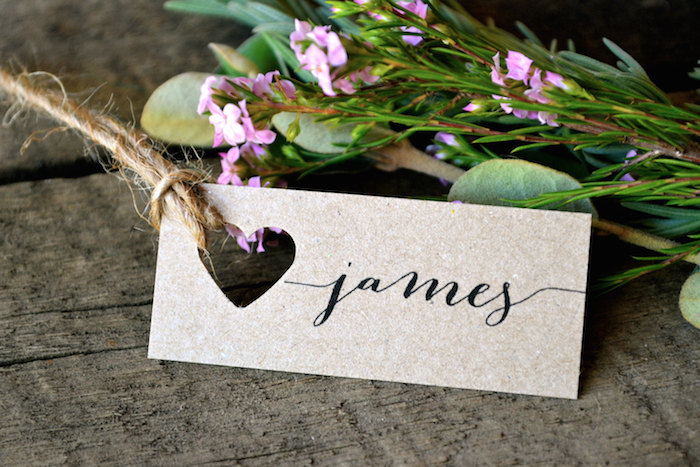 They can be a small reminder of where to sit, like these rustic place card tags by LaPommeEtLaPipe. 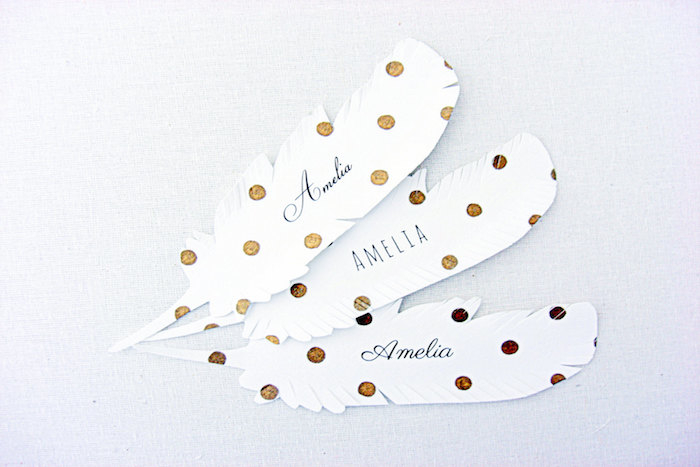 Re-use place cards in other parts of your wedding decor such as signs, gift bags or gift tables. 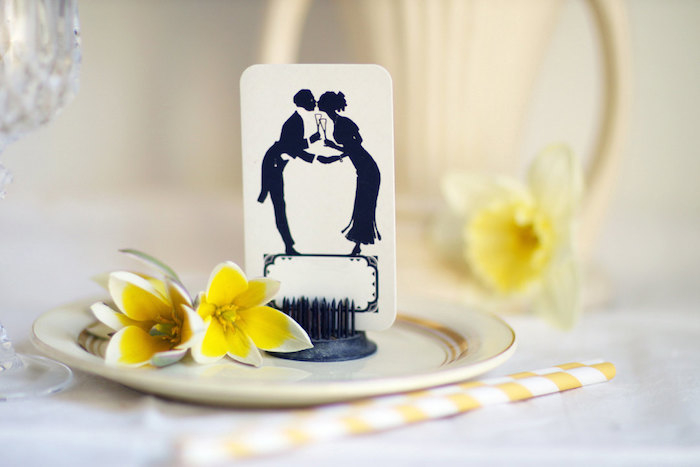 We love this cute kissing couple place card by GoGoSnap. If you have a bunch of place cards leftover after the wedding, use them for dinner parties or other events. 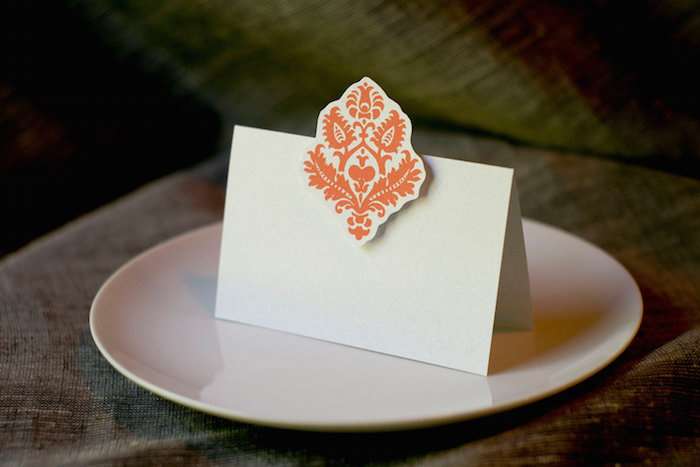 This damask place card by jenAitchison is an elegant, versatile choice. This polka dot feather place card by SepiaSmiles is a step up from a traditional card stock place card; it is definitely an interesting choice for a whimsical wedding. These canvas place cards by BloomCraftDesign could definitely double as a wedding favor. 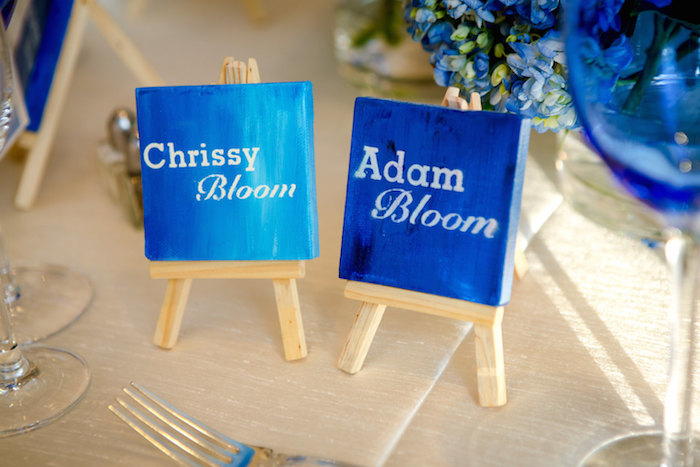 Each canvas is hand painted and embellished with your guest’s name on top of its own mini wooden easel. The good thing about ordering place cards is you can choose any color and font you want. 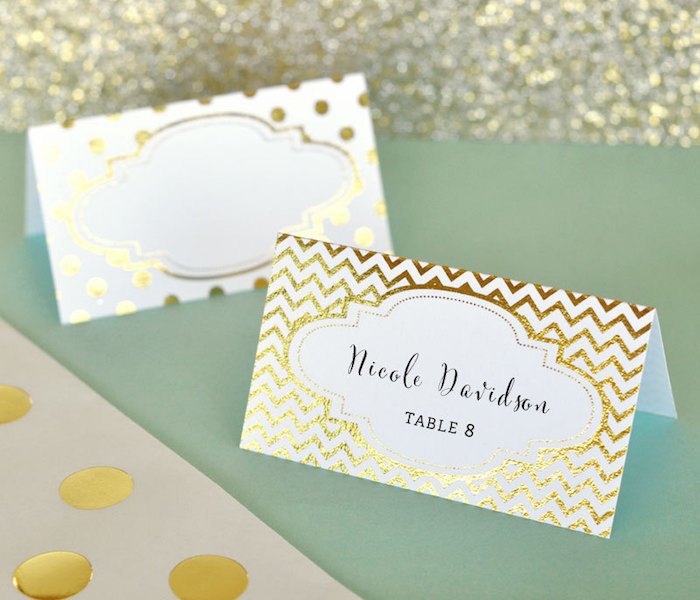 These art deco place cards by PaperHeartPrint have a touch of Gatsby flair.